Today’s media landscape requires an intelligent and informed approach from an experienced team. Effective planning and buying in a complex marketplace also demands access to the latest research and analysis tools, all of which are used at the agency. We are a truly media neutral agency and will only ever recommend what is right for our clients. 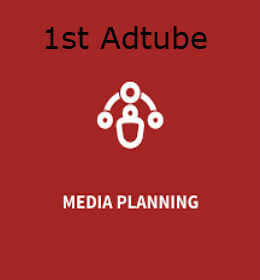 When it comes to media planning and buying at Delete, we take a totally objective view to developing integrated, cross channel media campaigns. We gather intelligence and make recommendations that we truly believe will achieve your objectives and make media selections that provide a proven return on investment. Our approach is independent and impartial. We keep the buying process fluid and know how to negotiate the lowest possible rates. By constant monitoring and evaluation (testing and refining) – we know what works, as well as where best to channel the media spend. We don’t believe the biggest budgets always secure the best deals, instead we place value on the relationships we develop with media owners and the conviction that you adopt when entering into negotiation – collaboration over clout. By adopting this philosophy when it comes to comparing like for like media buying, we usually outperform other agencies with our unique approach. We are a results driven business. Although the cost of media is of paramount importance, we also look to leverage the optimum return by securing the best positions and achieving the strongest standout at no extra charge. This, along with strong planning and judicious buying, ensures our clients are able to achieve optimum return by reaching the right audience, with the right message and at the right time. It’s about understanding what works but more importantly what doesn’t, what the real value is and what opportunities are available at no extra cost, in order to underpin the core advertising activity. Throughout the campaign we are constantly looking at the results to help identify new opportunities that will refine the returns still further. And when your campaign has been completed we will provide a performance summary report, including a return on investment analysis, whenever measurable. We specialise in media planning and buying high performance, cross-channel, interactive advertising campaigns. We will understand your target audience and their journeys, your objectives and your market and we will deliver campaigns that get you the results that you are looking for. We will build your bottom line delivering agile and adaptable solutions that continually respond to changes in the market. The media planning and buying team has the b2b sector experience and knowledge (5+ years, although we are continually learning) to ensure that our clients continue to receive powerful, highly effective, cross-channel advertising campaigns that will enable you to achieve your on-going objectives. Our understanding of how to utilise traditional and digital media channels to deliver tangible results provides the best possible chance of success by delivering demand-led growth.